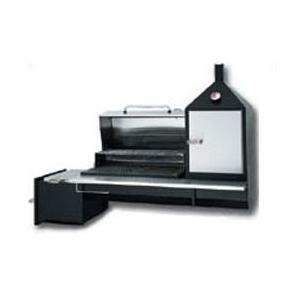 This BBQ Charcoal grill features 2 tip back, adjustable grates. Reinforced grate is virtually indestructible. Grate tips back for fire building and cleaning. Firebox is ring and flange reinforced. On roll around caster base. Steel construction. 1368 square inches cooking area. 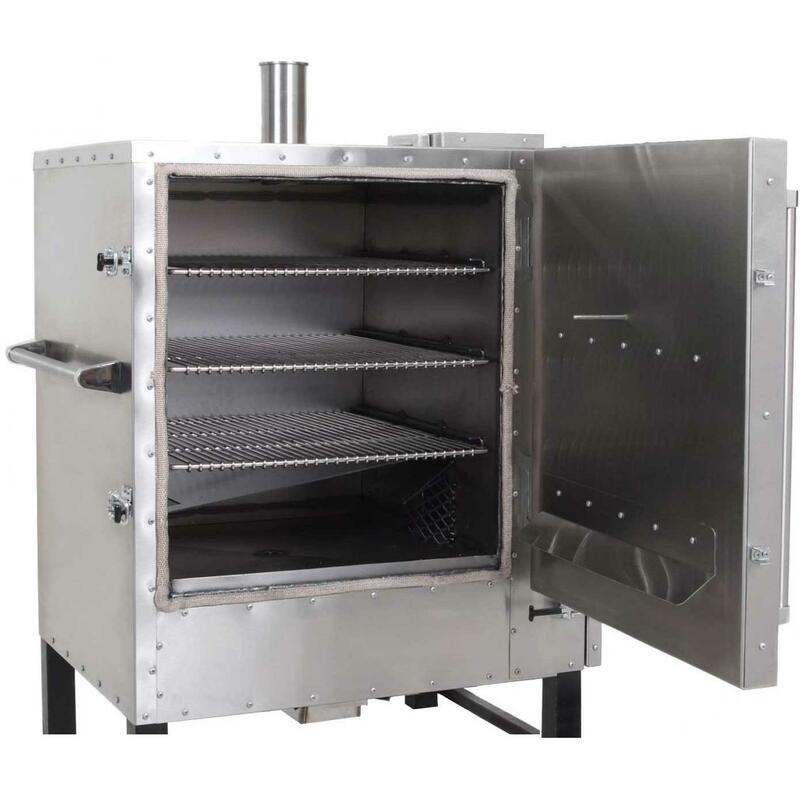 Firebox dimensions: 36 x 38 x 12 high. Base is 24 long by 6 in diameter. 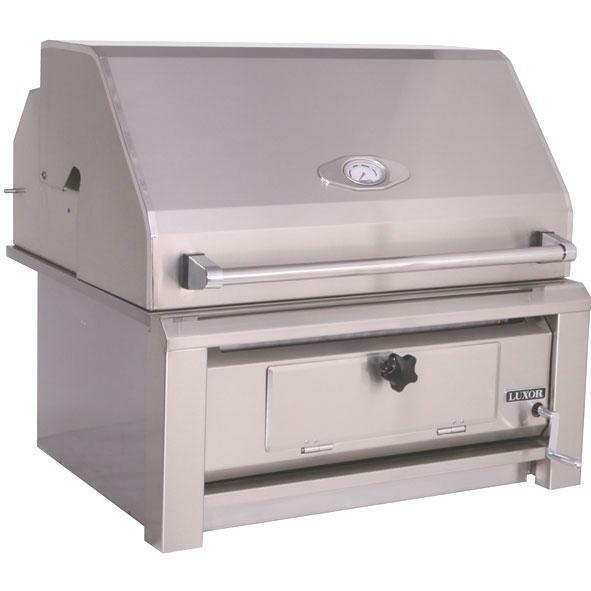 The Viking 30 Inch Outdoor Gravity Smoker features a large 6.7 cu ft capacity with three removable, heavy-duty cooking racks, a centrally located thermometer with readings from 50 to 550 degrees Fahrenheit and damper to maintain airflow and regulate temperature. 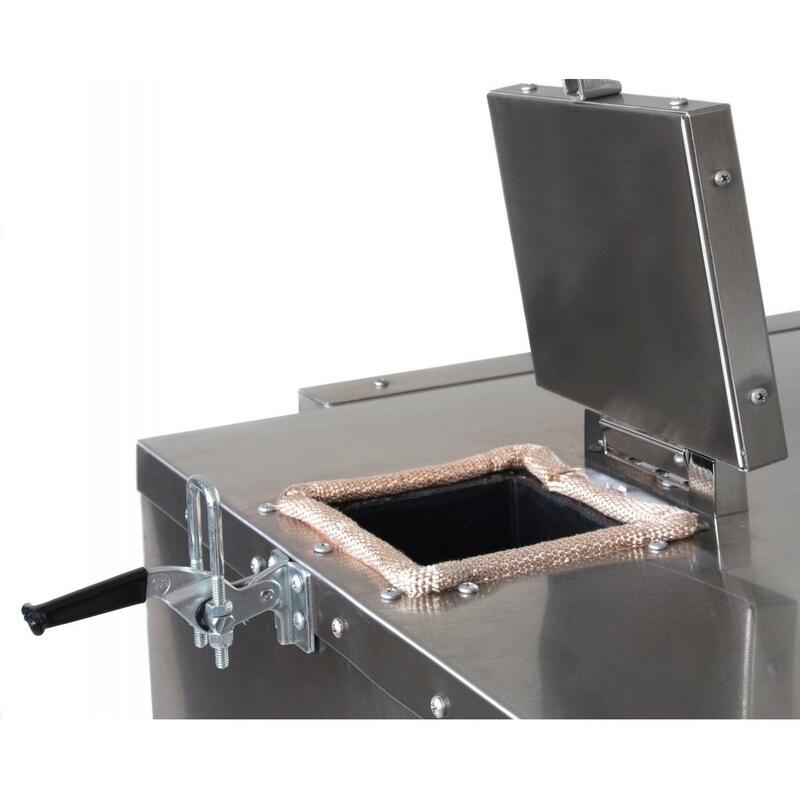 The removable ash pan/wood box inside the firebox allows easy wood chunk loading and ash removal. 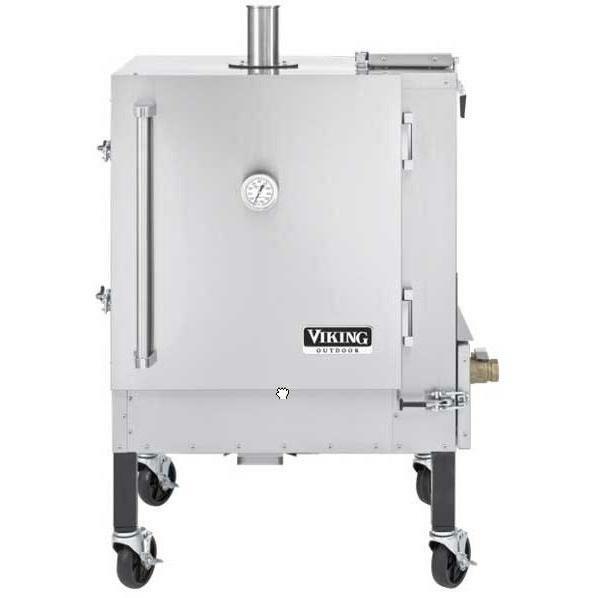 The unique, fully insulated, design of this Viking smoker provides maximum heat retention for optimal cooking. Heat reflects off the interior in a convection fashion, cooking foods from all angles while locking in flavor and juices. 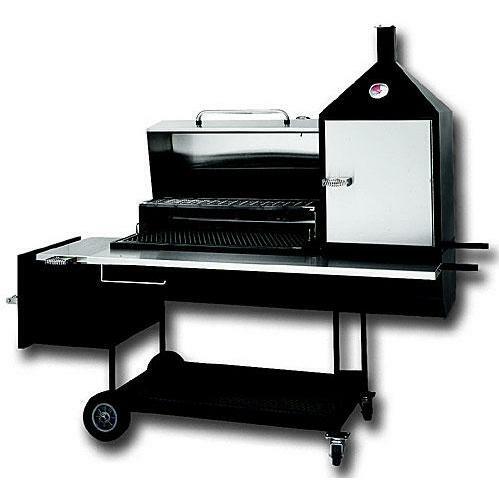 This fully insulated Viking Outdoor Gravity Smoker can be used with natural lump charcoal or regular briquette charcoal and is constructed with heavy-duty, durable locks, latches and hinges for commercial quality and performance. 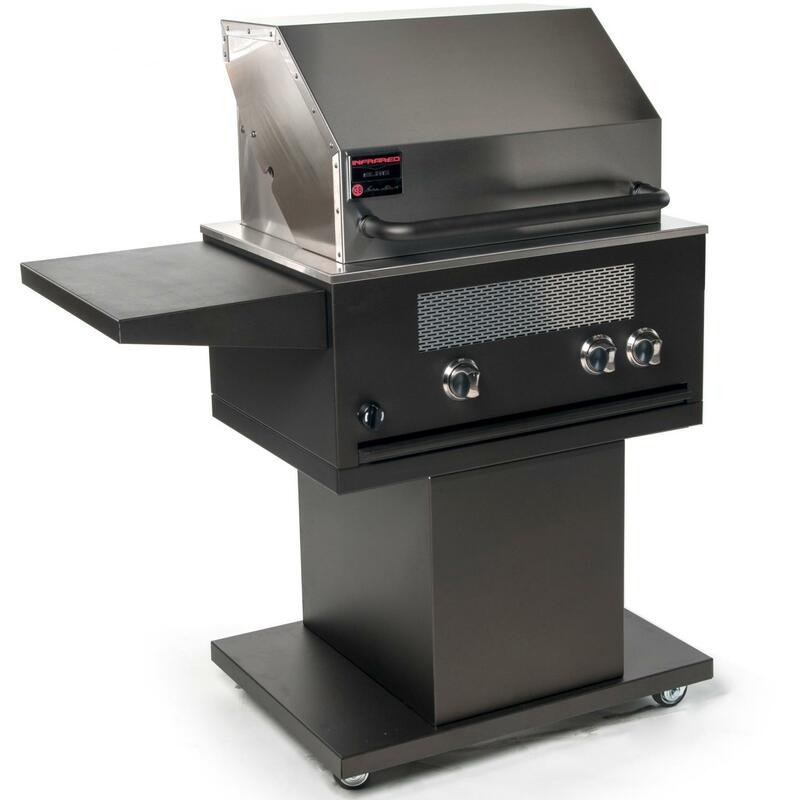 Overall dimensions (in inches): 30 W x 26 1/2 D x 46 H. Interior dimensions (in inches): 21 W x 21 3/4 D x 25 H.
The Texas Barbecues 500 Upright Brick-In Barbeque Pit/Smoker features a total cooking surface over 1100 sq in on pit side, over 600 sq in inside the upright chamber plus 6 sausage hanging hooks. 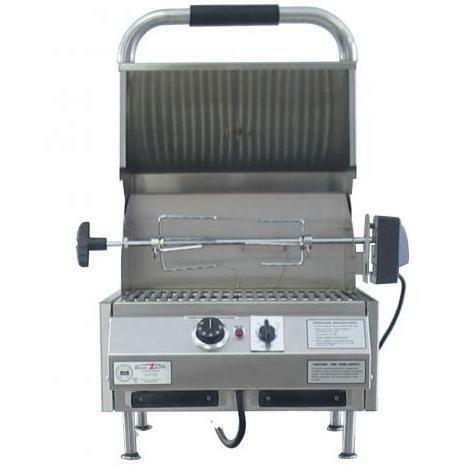 Grill is constructed of heavy gauge 304 stainless steel and cooking grids are built of heavy gauge stainless steel round bar with welded stainless steel frames. Includes removable heavy gauge charcoal/water pan located in main pit chamber. 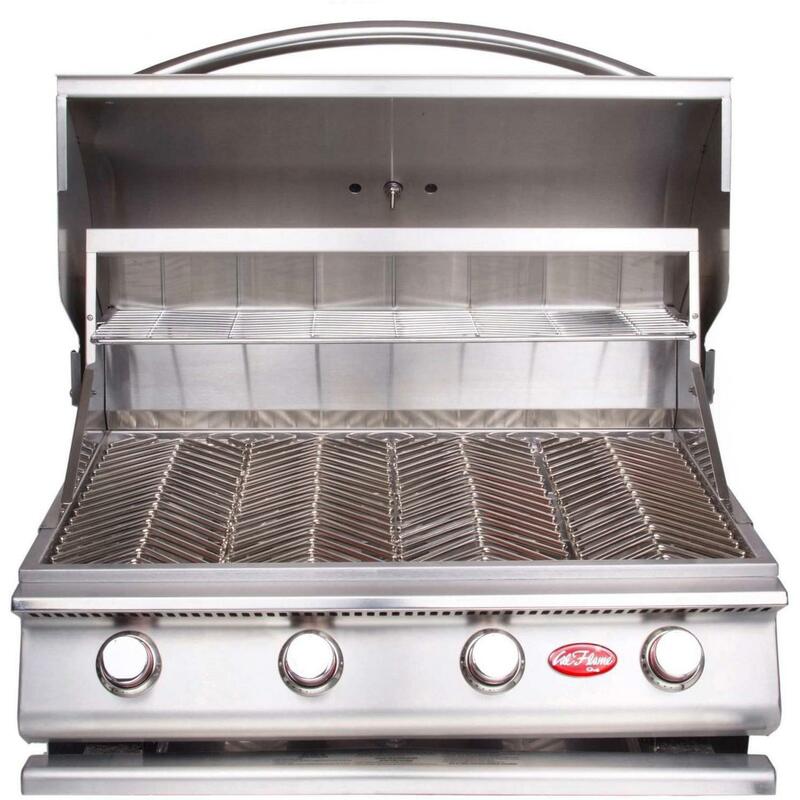 The Firebox on the side of the grill also gives you the ability to cook on it. Lift the lid on the Firebox and there is a cooking grid that is 11 x 17 with a steel plate underneath it. You can cook on the plate or over your coals directly. The Firebox also has a removable ash pan for easy clean up. Also includes large, easy to read thermometer, Stainless steel hardware and hinges. Unit is self-supporting for easy installation. Cooking Grid Dimensions (in inches): Main Grid is 33×18, the Warming Rack is 33×9 and the Smoker Box Grid is 11×17. GRILL ONLY ISLAND NOT INCLUDED. 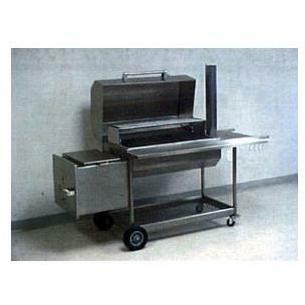 The Texas Barbecues 500 Barbecue Pit/Smoker features over 1100 square inches of cooking surface. 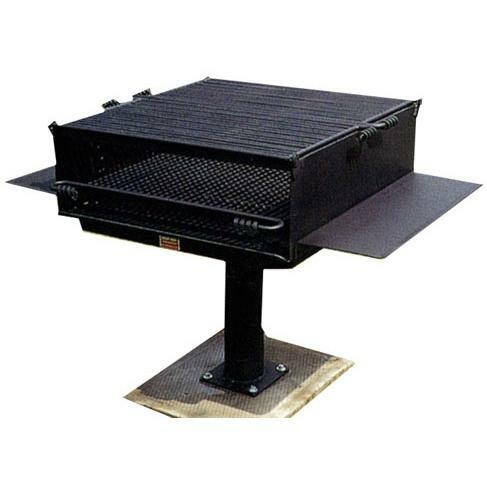 Cooking grids are built of heavy gauge expanded metal with welded steel frames. 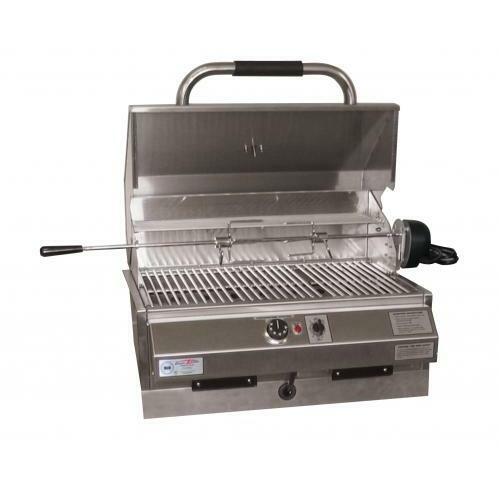 Grill is constructed of high quality, 304 stainless steel and heavy gauge carbon steel removable heavy gauge charcoal/water pan located in main pit chamber. 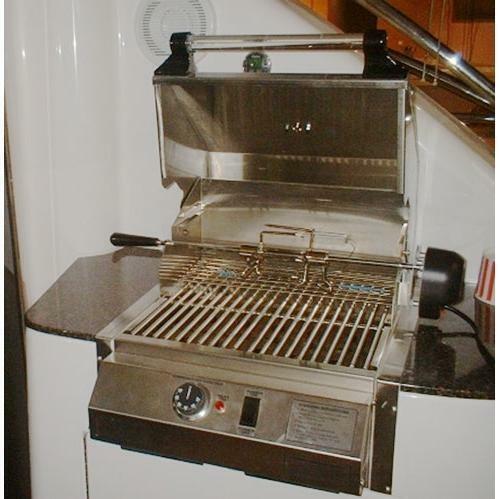 The Firebox on the side of the grill also gives you the ability to cook on it. Lift the lid on the Firebox and there is a cooking grid that is 11 x 17 with a steel plate underneath it. You can cook on the plate or over your coals directly. The Firebox also has a removable ash pan for easy clean up. Also features large, easy to read thermometer, Stainless steel hardware and hinges. Lifetime burnout warranty on firebox. Cooking Grid Dimensions (in inches): Main Grid is 33×18, Warming Rack is 33×9 and the Smoker Box Grid is 11×17. 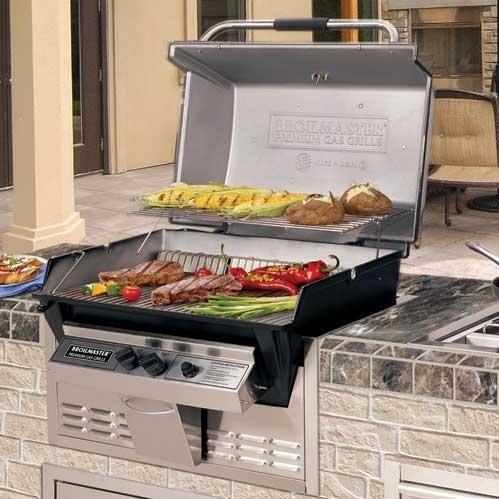 GRILL ONLY ISLAND NOT INCLUDED. 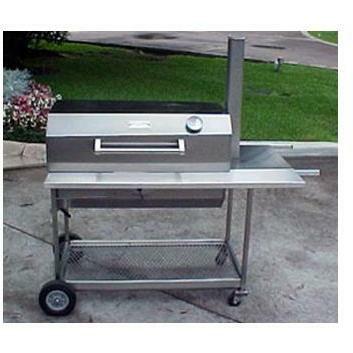 The Texas Barbecues 500 Upright Barbeque Pit/Smoker features a total cooking surface over 1100 sq in on pit side, over 600 sq in inside the upright chamber plus 6 sausage hanging hooks. 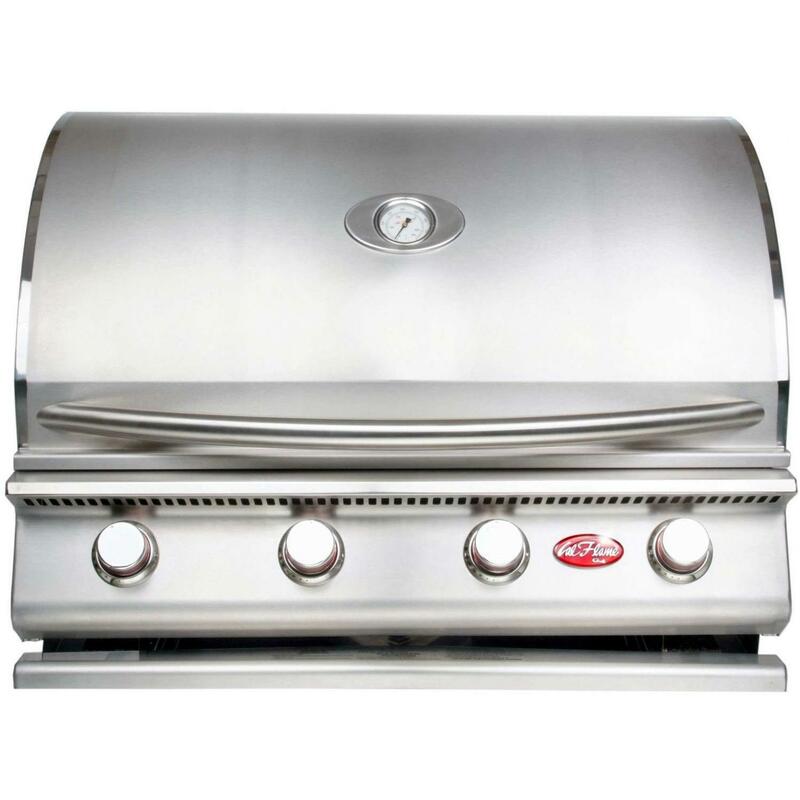 Grill is constructed of heavy gauge 304 stainless steel and carbon steel. 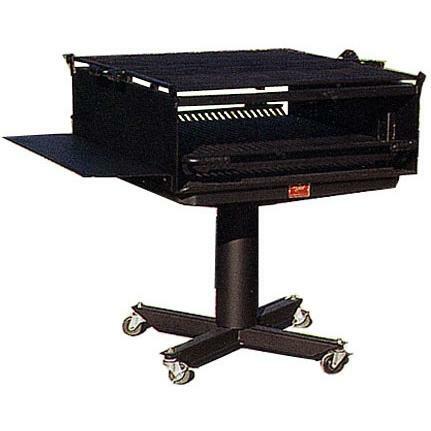 Includes removable heavy gauge charcoal/water pan located in main pit chamber, Storage for wood and/or charcoal bags, Stainless steel front tray gives ample work surface, Heavy duty rubber wheels & 3 inch castors make for easy mobility. 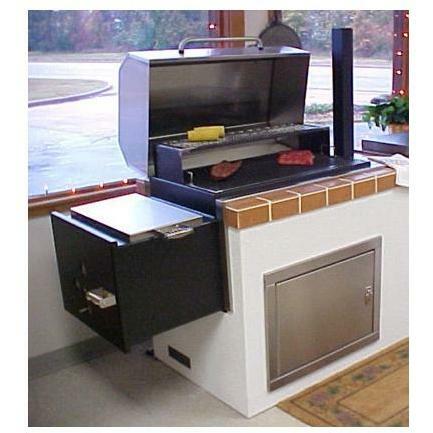 The Firebox on the side of the grill also gives you the ability to cook on it. Lift the lid on the Firebox and there is a cooking grid that is 11 x 17 with a steel plate underneath it. You can cook on the plate or over your coals directly. The Firebox also has a removable ash pan for easy clean up. Includes large, easy to read thermometers. Stainless steel hardware and hinges, Paper towel holder and utensil hooks. Lifetime burnout warranty on firebox. 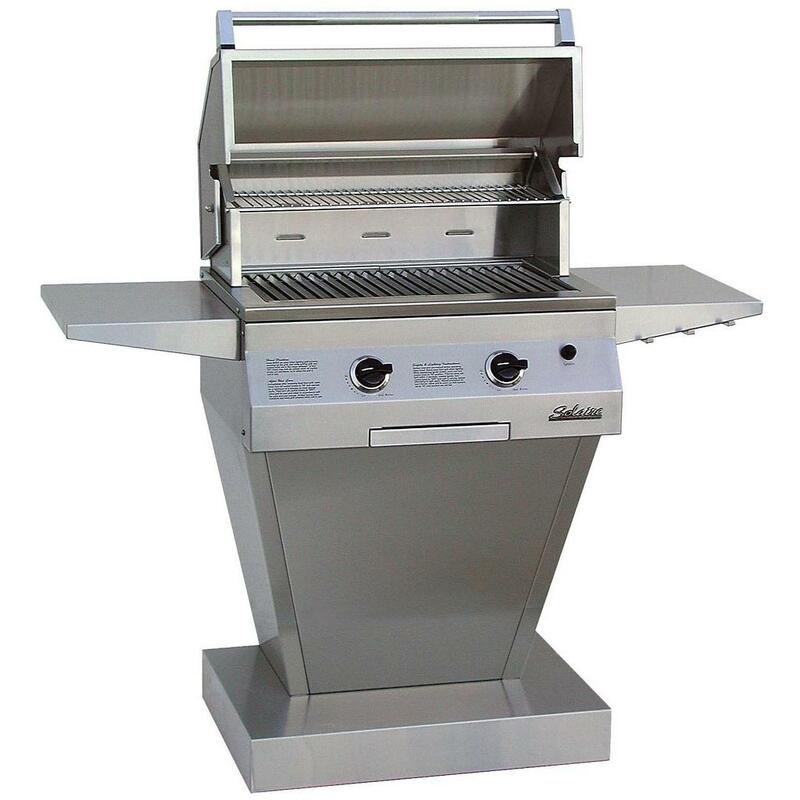 Dimensions (in inches): 86 L x 32 W x 72 H. Cooking Grid Dimensions (in inches): Main Grid is 33×18, the Warming Rack is 33×9 and the Smoker Box Grid is 11×17. 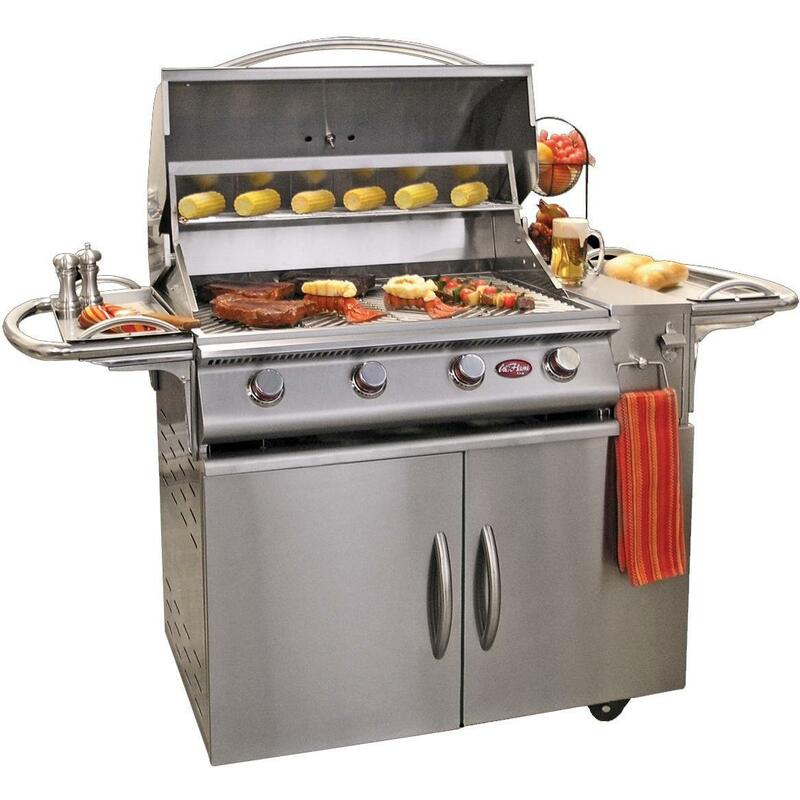 This Luxor 30 inch built-in charcoal grill features 730 square inches of total cooking area, a solid 304 grade stainless steel construction, stainless steel warming rack, crank lift to adjust charcoal pan, charcoal access door, removable ash pan, thermometer and solid 3/8 inch diameter stainless steel rod cooking grid.